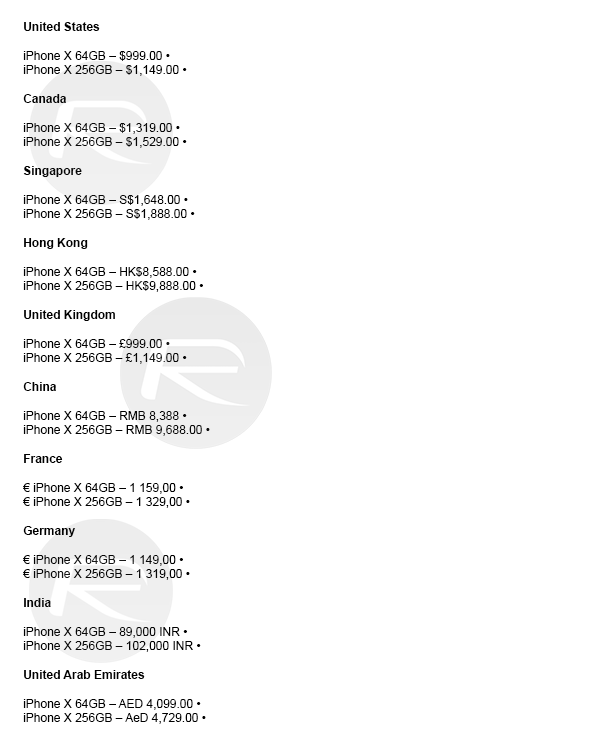 Here is factory unlocked SIM-free iPhone X price in the USA, UK, India, China, Canada, France, Germany, and other countries. 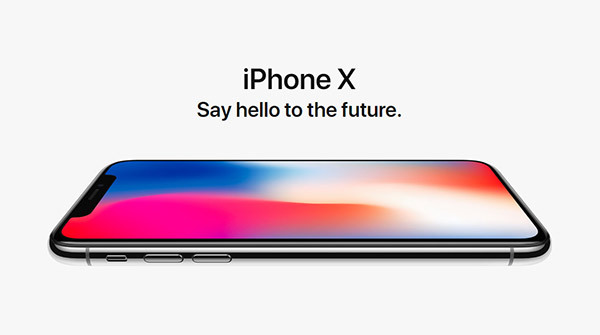 Apple’s highly anticipated tenth anniversary iPhone has now been officially announced in the form of iPhone X. Apple has already unveiled the specification details of the device as well as its features and how it will function, and now with only a few days to go for pre-orders to go live, here we have is factory-unlocked prices for iPhone X in a number of countries. The launch of iPhone X is a funny little release for Apple. Not only does it actually entirely miss out iPhone 9, but it also sits alongside iPhone 8 and iPhone 8 Plus, which are both highly performant and highly exciting devices in their own right. For some consumers, it puts them in a strange position of not knowing if iPhone 8 is actually the right route forward for them as an upgrade from iPhone 7 or earlier, or if the all-singing, all-dancing iPhone X is the device that they need in their lives. Sometimes it can literally come down to affordability and whether or not the cost can be justified by the return. Most objective individuals would probably argue that iPhone X is worthy of its associated price tag, largely due to the fact that it packs in so much technology and breaks the design mould for iPhone that we’ve seen over the years. There’s also no real previous iPhone to compare the costs against as this hardware is more expensive than previous Apple smartphone releases and, as mentioned earlier, sits in a class of its own as far as features and design is concerned. Yes it’s more expensive, but is that expense worth it to you? If you have already made your mind up about purchasing iPhone X regardless of price or release date, then checking out the embedded graphic below is nothing more than a courteous action for you. We fully understand that some people need to be on the cutting-edge of technology and will, therefore, be purchasing the device regardless. However, for others, a purchase of this magnitude requires careful consideration and taking multiple characteristics of the device into the equation, the most important of which is likely the price. With that in mind, you can find out everything you need to know regarding price in your country above. Apple will start taking pre-orders of iPhone X on October 27th, and will start shipping it on November 3rd. Apple is valuing the Canadian dollar at approximately US$0.75 – not the US$0.82 it is trading at today. In order for Apple to have stable pricing for it’s products inside a country, it has to pick a rate of exchange and hold it for as long as it can without either losing money in US dollars or driving down demand due to a higher perceived price. The Canadian dollar has been on a run of sorts, and most analysts are predicting that it will fall again – hence Apple’s decision to pick a rate lower than the published rates today. Sim free? How’s that going to work? It costs whopping 1374.51 USD in India for 64 Gb version which is way over priced as compared to original 999 USD in US! $1=£1 since ever. US prices doesn’t include TAX/VAT. UK prices include VAT. Import Tax and VAT applies in the UK. Apple is an american company hense they dont pay import tax. Is the iPhone X on the Canadian & UK Apple websites SIM-Free? Because there’s no SIM-Free option on the US Apple website.